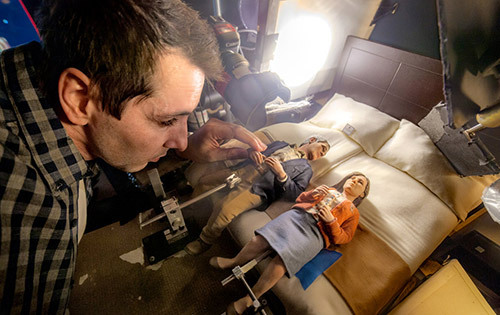 Anomalisa is a film released at the latter end of 2015 and one of the most human films I’ve seen... The best part is that it doesn’t contain a single human. The fully animated feature follows the story of author Michael Stone who has become overwhelmed by the mundanity of his life. His lack of interest ripples through all facets of his existence until, on a business trip, he meets Lisa. Now before you begin rolling your eyes at what sounds like a corny love story, please be aware that this love story is written and directed by the one and only Charlie Kaufman. A writer/director who has found a unique voice is a sea of sameness (a parallel to the film). Kaufman has made a slew of introspective films such as; Being John Malkovich (1999), Adaptation (2002) and Eternal Sunshine of the Spotless Mind (2004). All of which have delved into the depths of the human condition. 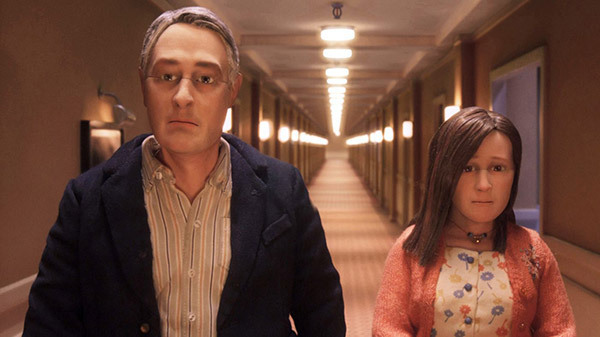 Like his previous films, Anomalisa is a puzzle; however it seems to stand out above the rest (an “anomaly” if you will). I’ll admit it’s hard to pinpoint exactly why, it may have I to do with the construction of the miniature world they created. There’s something fantastical and yet highly satirical about making a deeply true and emotional film that feature 12 inch high puppets. Not satirical in the way Team America: World Police mocks the constructs of a puppeted film, but satirical in a sense that it adds a world of perspective to characters and events taking place. 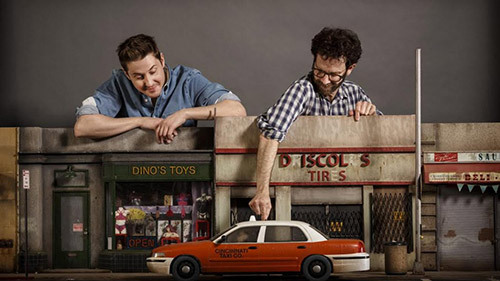 Charlie partnered with stop motion animator Duke Johnson and over the period of a few long years they adapted Charlie’s sound-play into a full length feature film that showcases some of the more beautiful animation ever put on screen. For those of you who are unfamiliar with the term “stop motion”, essentially this means animation that is captured one frame at time, with physical objects that are moved between frames. When you play back the sequence of images rapidly, it creates the illusion of movement. Now you can see why it took so many years to complete. The film is voiced by David Thewlis and Jennifer Jason Leigh (who had a great year in 2015). Both do an outstanding job bringing these characters to life. The rest of the voices in the film are monotone mumbles of Tom Noonan, this includes the female characters and the soundtrack. Thematically this plays into the idea of Michael’s monomania and is a very thoughtful use of sound that wouldn’t work in a live action film. Now I’ve seen plenty of incredibly made animation films in my time, however none that affected me so profoundly. The rawness of the relationship that develops onscreen is relatable to anyone who has ever fallen in love. If you don’t believe my mushy mumbo-jumbo, just ask my adult male friend who remained in the fetal position for the last half of the film. Unlike the car ride that takes place at the beginning of Anomalisa, our car ride home was filled with silence and reflection. I don’t want to delve too much into the story because I think it is well worth the experience of entering the unknown world on your own. Make sure to pay extra attention to the awesome end credits song “None Of Them Are You” written by Kaufman himself. 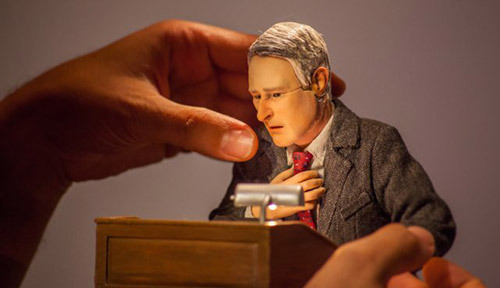 Not only is Anomalisa an extremely well-crafted and innovative animated film, but what takes it to the next level is it’s perfect combination of heart and art.